Do you have questions about tropical flowers? Do you need advice on flower identification or care? This is the place where you can ask a question about anything related to tropical flowers. I will do my best to give a thorough, complete answer, or help you solve the problem. It's free and it's easy to do. Please scroll down the page to ask your questions, or click here to jump down to the place where you can Ask Questions About Tropical Flowers. 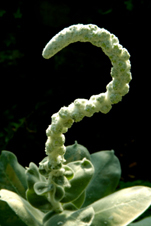 Before you ask your tropical flower question, please take the time to review the Previously Asked Questions. You might discover that someone has already asked your question, and that the answer is readily available, along with comments and suggestions from other visitors to this site. Answering individual questions via email is limiting. This page gives everyone a chance to ask their questions about tropical flowers, read about problems that others are having, as well as discover how to solve them. Best of all, this page will become a FAQ devoted to tropical flowers. If you have a tropical flower question that needs a personal response, please contact me through my contact me page. If you have questions or problems that are not about tropical flowers, please do not ask them on this page. Do you have questions about tropical flowers? Do you need advice on flower care or identification? This is the place where you can ask a question about anything related to tropical flowers. I will do my best to give a thorough, complete answer, or help you solve the problem. It's free and it's easy to do. Just fill in the form below, then click on "Submit Your Question".